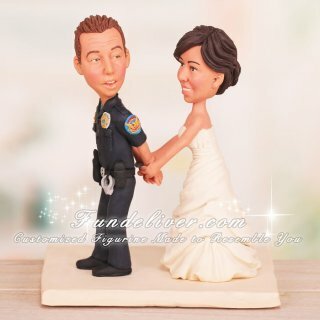 This is a completely customized bride handcuffing groom funny wedding cake topper ordered by one of our customers. They would like for the bride to be behind the groom handcuffing him. The groom is taking a step forward with his hands out behind him in hand cuffs. 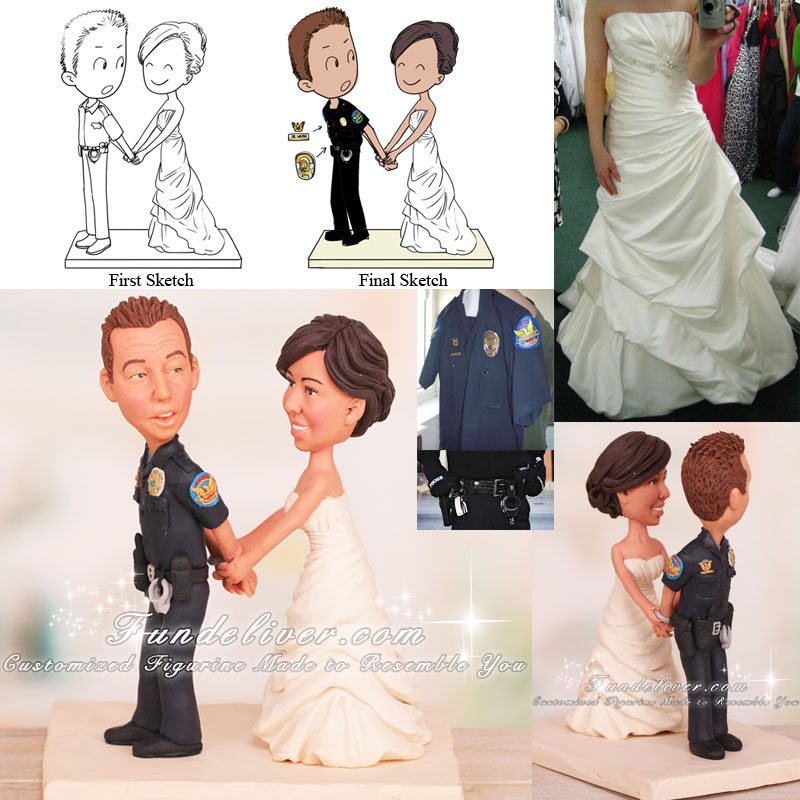 The bride is standing behind the groom with her hands on the hand cuffs. She is in an ivory wedding dress with her hair up. The groom is in a Phoenix Police uniform. The police uniform is a dark navy blue. The groom has a full duty belt with a gun in the holster, magazine pouches, a radio, and a hand cuff case. The groom is looking over his shoulder back at the bride with a shocked look.